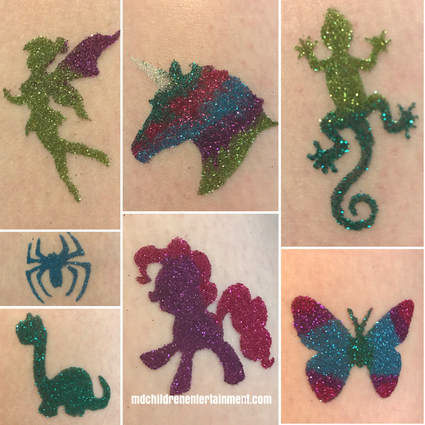 Glitter tattoos are fun for kids and adults! Lasting 5-7 days! 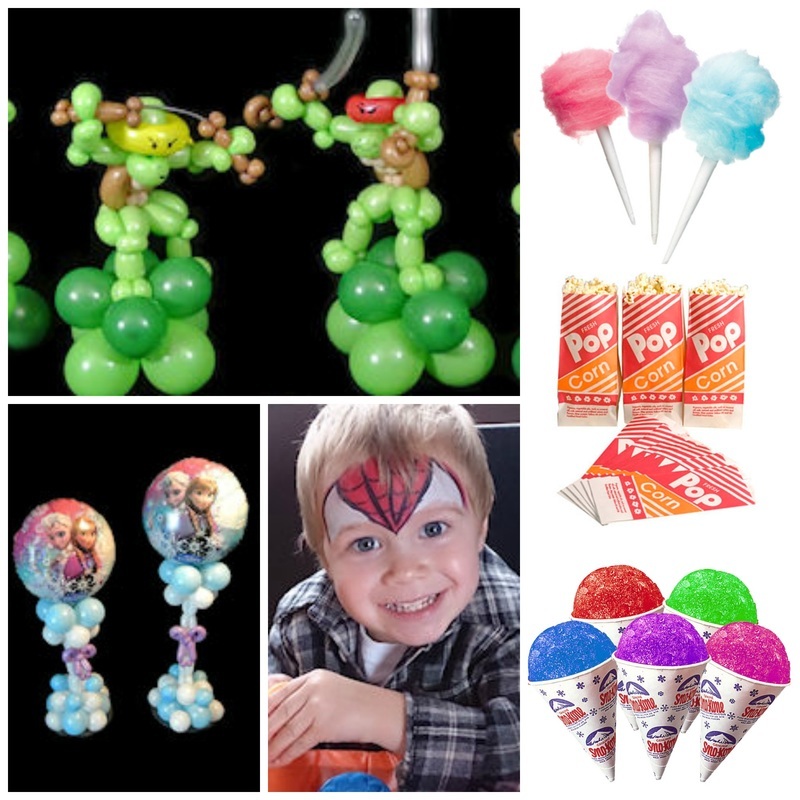 Awesome designs and also custom designs available. We use cosmetic grade glitter with latex free skin safe body glue. Ask about Glitter Tattoos!